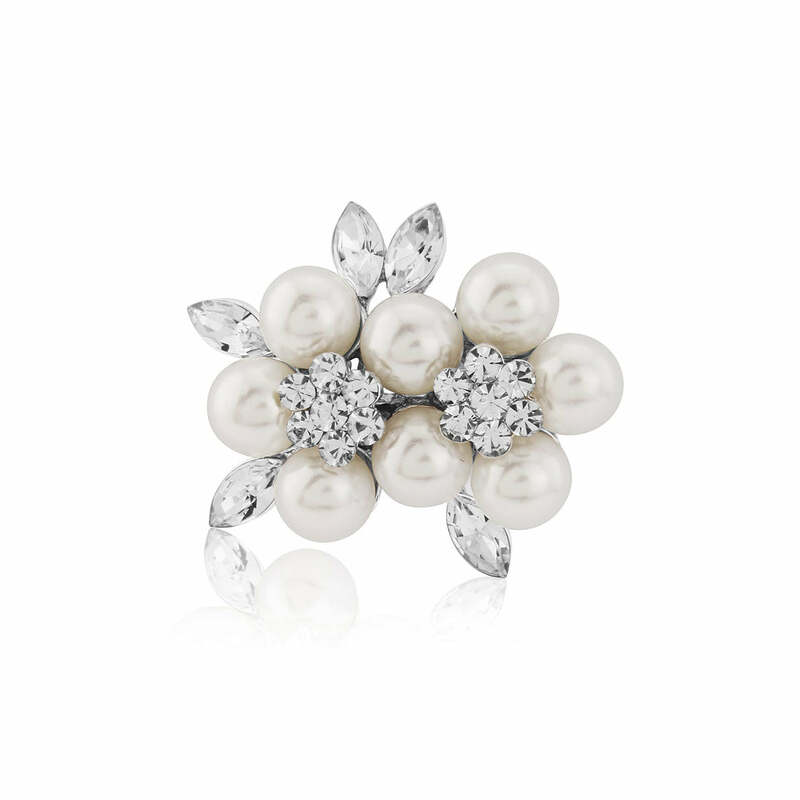 It's official… we've fallen head over heels in love with this dainty little ivory pearl brooch. Perfect for brides to pin to their bouquet or wedding dress. So dainty and adorably chic, our Love Story Brooch is the epitome of refined elegance. Featuring two light ivory faux pearl flowers enhance with divine clear marquise Austrian crystals, its timeless style is reminiscent of jewellery from the 1950s. A beautiful brooch to adorn a vintage style wedding dress or bridesmaid dresses, this is a piece that will be treasured and worn beyond the big day. Fans of classic vintage pearl brooches will adore Love Story; pinned to a silk scarf, on the lapel of a blazer or a fabulous evening gown, it's the perfect finishing touch for quite literally every occasion. A divine gift for someone special, its delicate and versatile style ensures this is an accessory that will appeal to most jewellery lovers - particularly if they adore oh so pretty pearls!